Web development is a term used for the effort in developing an Application/website for the internet. It involves Website designing, content development, security configuration, etc. It extends from building text pages to complicated web applications. Both languages are belongs to server-side development languages. Server-side scripting is a method which is utilized in web development and it is evolving and creating scripts on a web server to produce a response for users and clients. Python and PHP are also called server-side scripting languages. In this article, we will discuss, what are the major differences between Python and PHP, and Why python is more versatile compared to PHP. If any programming language is difficult to learn, there is no reason for wasting valuable time on it. Nowadays, Programmer time is very crucial than execution time for programme practical purposes. For a Server-side it is easy to manage with both Python and PHP. And if you are an advanced developer, you should always look for a programme which always generates maximum value for the long term. Everybody always wants to work with a scripting language that gives the rich, deep and long lasting relationship. Without any second thought, Learning Python is easier than PHP. Python is also called general-purpose server-side language. Perhaps, Python is so easy, this is the reason beginners use python language to learn the basics of programming. At the same point PHP contains some of the difficult expressions as you already know. PHP is also called general purpose language. It was especially used for websites, web applications which are clearly more complex than simple. These are the main reasons learning PHP took more time compared to learning Python. Python’s syntax is simplistic, and the code simple to write. Learning Python is easy. It doesn't contain any complex variable like other languages. The code in python is easy to remember. When you write some sort of code in python, it looks awesome and you show it to others. This case is not applicable while you write a code in PHP for web applications. Note: These codes are just Example purpose. Python will support and provides awesome debugger tool, named as Python Debugger(PD). Python Debugger is very easy to understand. Even beginners also understand very quickly with the help of Documentation of PDB. PHP is also provides debugger package named XDebug. It is also great. But comparing the Python with PHP , Python requires less number of debugging tools required than PHP. The framework is defined that it is a collection of programs and which you can practice and use to build your web applications. The framework provides a strategy for how to do something with languages. Web developers have their own choices, and particularly they like standards. And they prefer to work with the same libraries and frameworks that everyone works around the world. So let's deep dive into the framework of these both languages. Read more: 6 essential tips for improving web design. PHP older 5.x versions were quite slow, taking more time for execution windows and linux operating systems. Perhaps, the new version of PHP 7.x is notably fast. And almost three times speedier than the Python program. Speed usually becomes an essential factor in the execution of critical applications. For example, Let's consider the core banking system and it gets a million visitors on a daily basis, so the delay plays a vital impact on system performance. Hence, discussing speed, PHP wins over Python with significant margin but this exceptionable. Package-management system refers to a collection of software tools. It automates the process of upgrading, installing, and configuring for Operating system in a uniform manner. It acts as a bridge between various projects. with this, you can build, share packages and build various applications and projects. Python is more versatile than PHP in terms of its elegance, simplicity, ease of use and modernity. Python has used vast areas like web development, applications, science, scripting and etc... So large community has come to extend around it. Excellent community support provided for both PHP and Python. But PHP came into exist before python, and it is been in the market for quite a long time, it has been using particularly for developing web based applications. This is the reason, PHP has vast community of PHP developers, those are ready to provide valuable support. Python battles with PHP in community support.There are huge number of Python developers in the world and who are creating Python applications. At the same time, community support is fantastic. 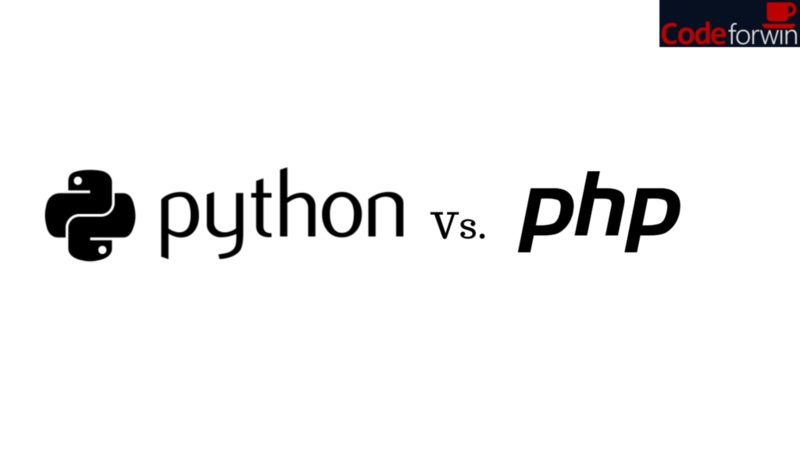 PHP and Python both have a good community support, so no clear winner in this battle. Python became recognising when google started applications like Youtube. There are so many famous applications like Pinterest, instagram, and Reddit use Python language for their web applications. At the same, and must be noted that the Facebook has been developed by PHP language. Lambda is a function or a subroutine that is called and defined without being bound to with an identifier. It is also called a code block and it can go through around and perform later, once or multiple times. Lambdas function is freely available in Python and it is very easy to create. So the developers prefer to use Lambdas for building certain applications. In PHP, there was only one function available and it is called "create-function" which is not truly a replacement for the Lambdas. PHP and Python are two major programming languages. Both provide strong community support, contains well-explained documentation, and fabulous support. PHP is younger than Python, but it was equipped with complex syntax structure and also extensively used for web development. Of course, python is older than PHP, and it contains modules and libraries, inherent simplicity and modularity, is a preference for programmers around all domains. After all with this discussion, Choosing one language is an definitely challenging task because Python and PHP both languages are good their own way. PHP is mainly used for server-side scripting in web development. On another side, Python is vastly used to implement the Artificial intelligence and Machine Learning codes.